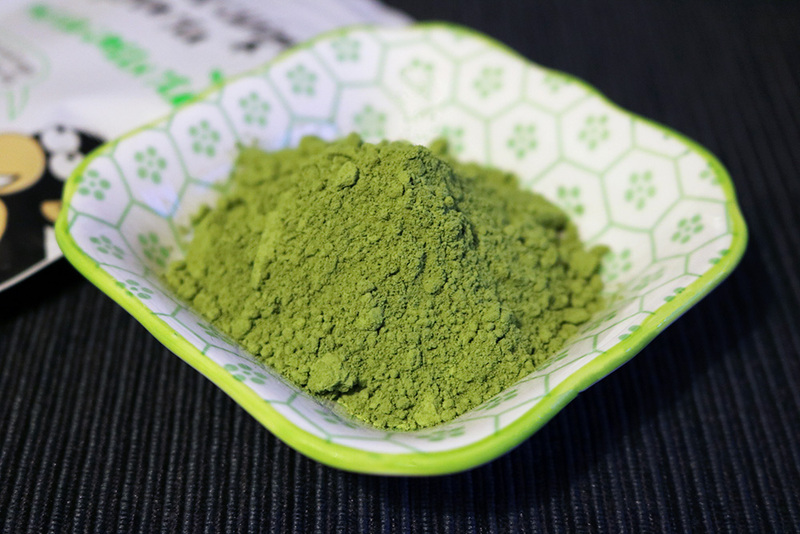 The first thing I noticed with this tea is the vivid green colour and fine leaf. The smell is equally as green, a really crisp fresh scent that I knew would equal a good cup of tea! 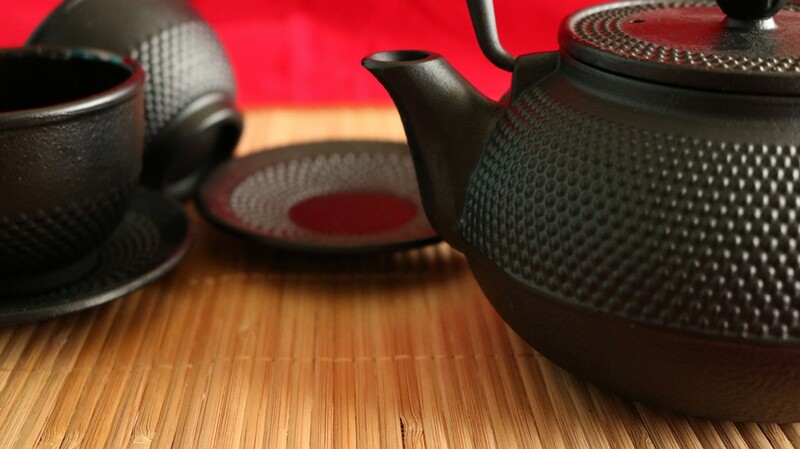 The tea steeps at a lower temperature of 50° which is important to note in order to avoid a bitter taste and enjoy this tea at its best. 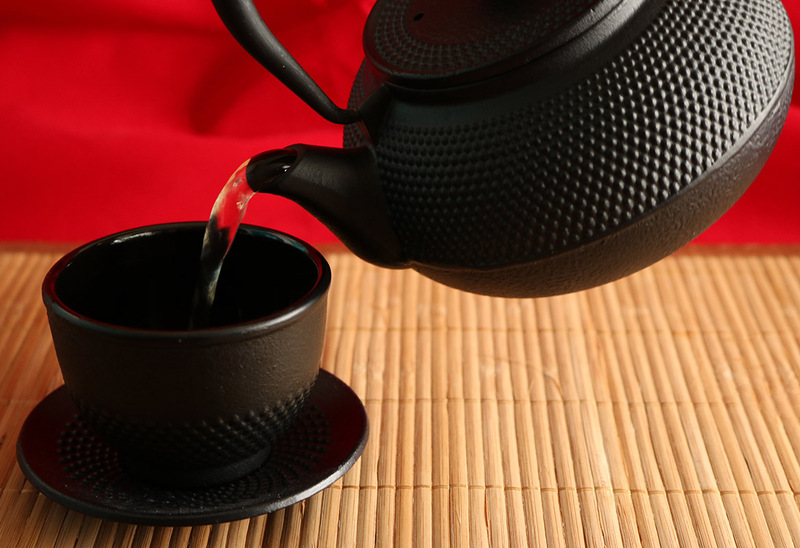 As the water hits the tea the fine leaf quickly opens up, becoming even more inviting. The liquid turns a milky pale yellow as the smell floats in to the room. 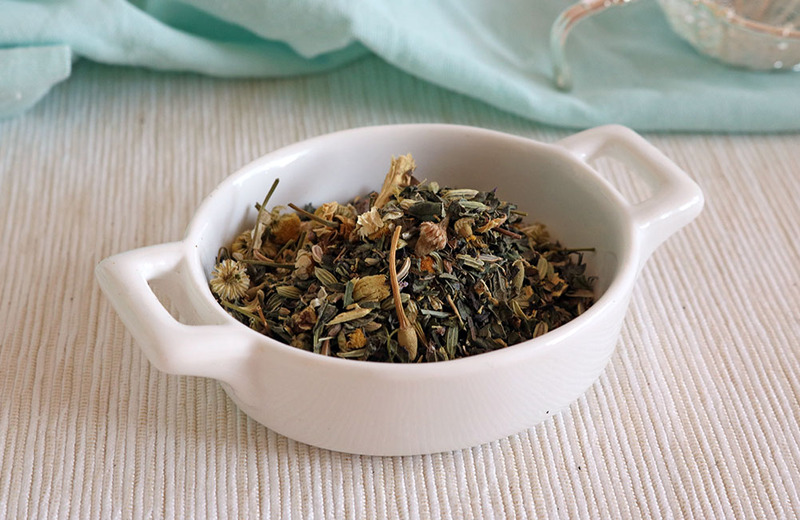 The flavour is incredibly delicate with a buttery quality and quite subtle but addictive, once I start with this tea I can drink it happily all day! It also lends itself to being reinfused which is great to make the tea last a little longer, I prefer to reinfuse my tea in a tea bottle of some kind, currently loving this Bamboo tea bottle I got for Christmas! 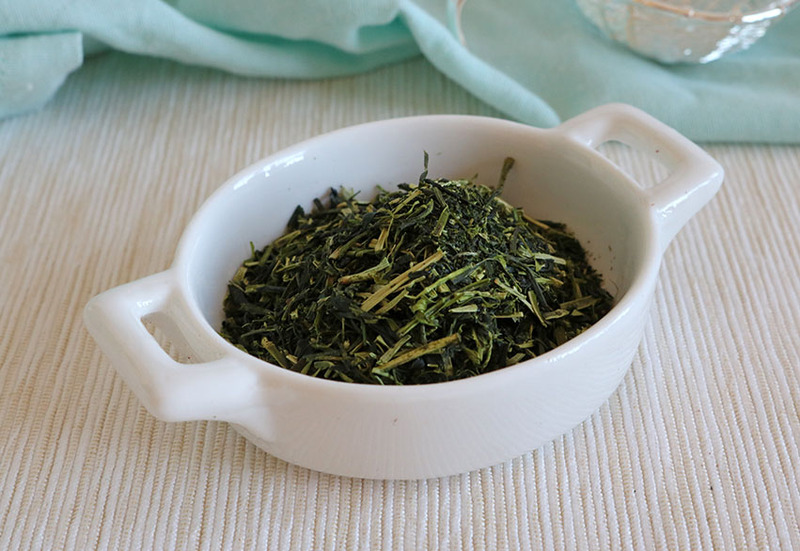 I hope you enjoyed this mini review, I’d definitely recommend checking out this sencha and all of Yunomi’s teas. 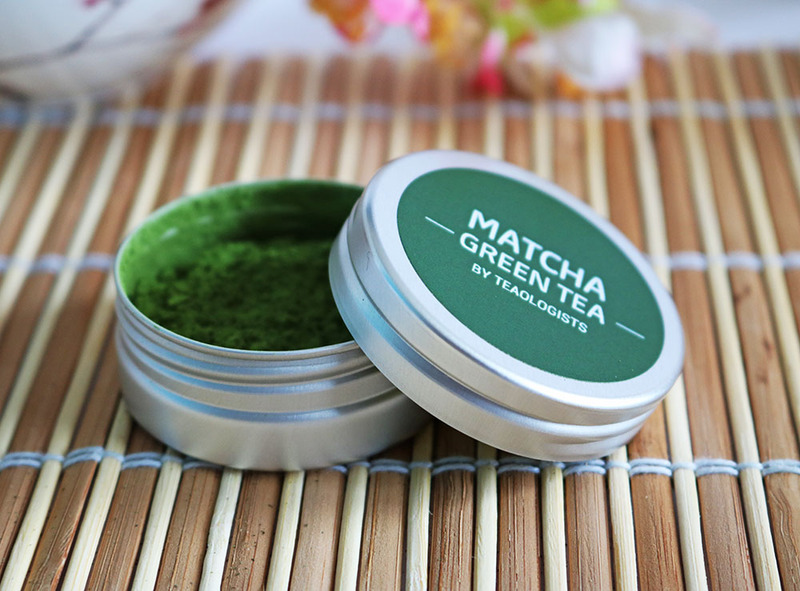 They have some of the finest teas I’ve ever tasted, I also highly recommend their matcha! Join my newsletter for more tea related fun! 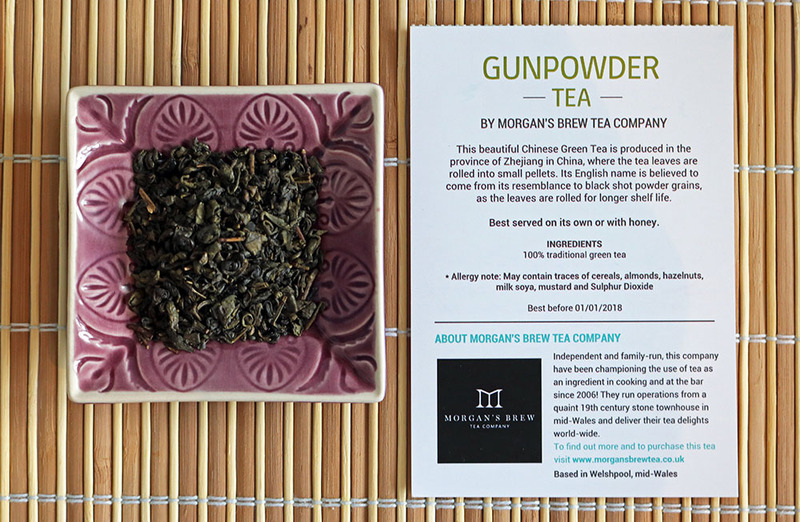 I’ve been interested in signing up for a tea subscription box for a while and have tried one or two in the past. I’m always on the look out for new tea so it really makes sense for me to have a selection delivered each month, plus it’s incredibly exciting! When the box arrived I was so excited, it fit straight through my door and was waiting for me when I woke up! The packaging is really classy with a box inside a slipcover and the inside of the lid has a stunning hot air balloon photo, it’s a lovely image to see when I dive in for my next tea to try! I was pleasantly surprised to find 6 teas inside, in the past I’ve only found 3 or 4 teas in subscription boxes so 6 is definitely appreciated. 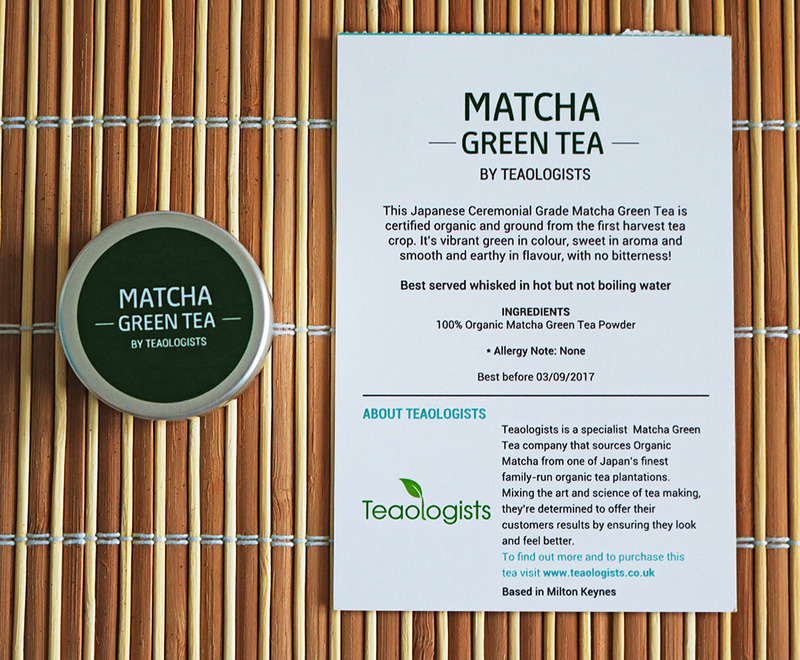 Each tea comes sealed with a card attached with a little bit about the company the blend is from and instructions for steeping, the instructions are really clear so this would be a great introduction to the world of tea for any newcomer. The selection each month is extremely varied, with herbal blends, black tea, oolong, white tea and rooibos all making an appearance. 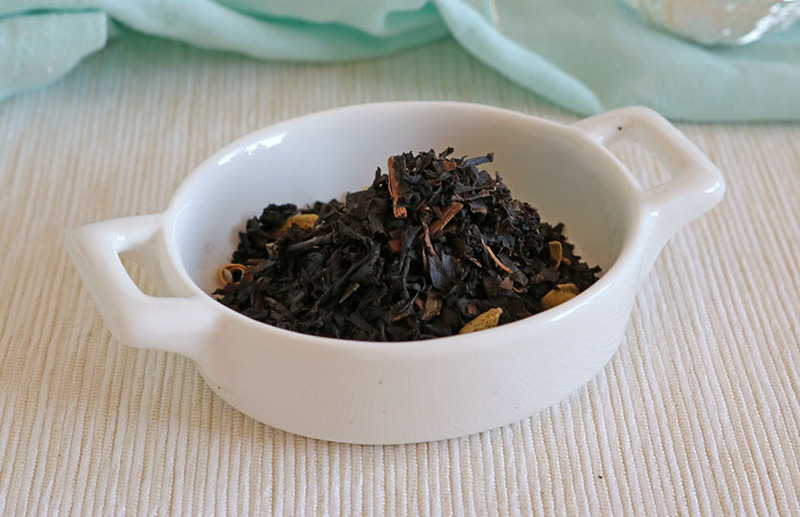 The first tea I knew I had to try from the November box was Orange Blossom Oolong. I’m a huge Oolong fan, it’s always refreshing and pairs well with a lot of flavours, there’s not much Oolong I don’t like and there’s also not much Oolong I like as much as Orange Blossom Oolong! The orangey smell was inviting the second I opened the packet, I knew this was gonna be good! 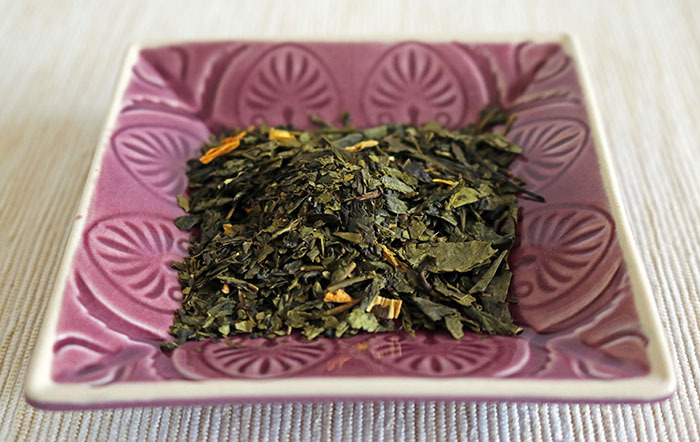 The orange flavour is a sweet orange rather than a citrusy orange which lends itself perfectly to an Oolong blend. It almost has a chocolatey hint to it as well, I couldn’t help thinking of Terry’s Chocolate Orange when I was drinking it, there’s also an enjoyable earl grey vibe to it. This was another blend I was really excited about, I adore white peony and was particularly intrigued by the large leaves! 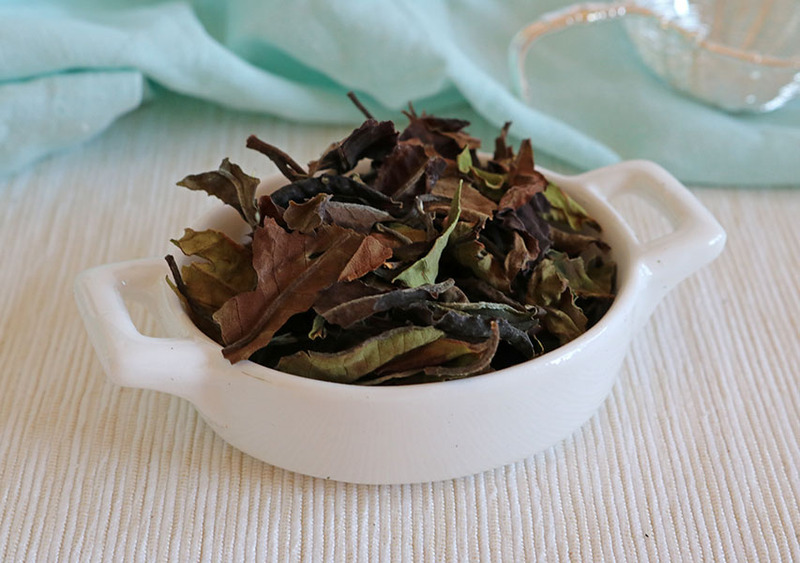 Other white peony I’ve tried has had smaller leaves so it was nice to see it in a more natural form, you could imagine this tea being freshly picked for this blend. 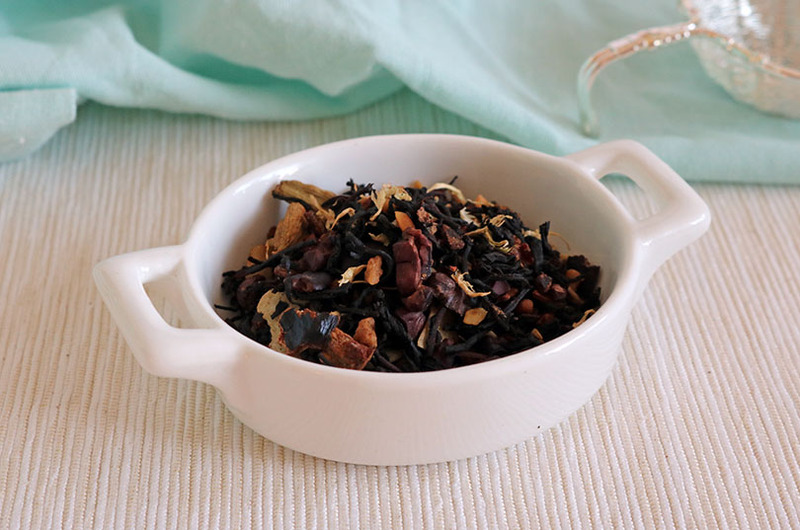 Malawi Peony has a nice fresh aroma to it, while steeping it I was entranced by the large leaves swirling around. I enjoyed the crisp delicate flavour of this tea immensely, it was one of the first from the November box to run out! 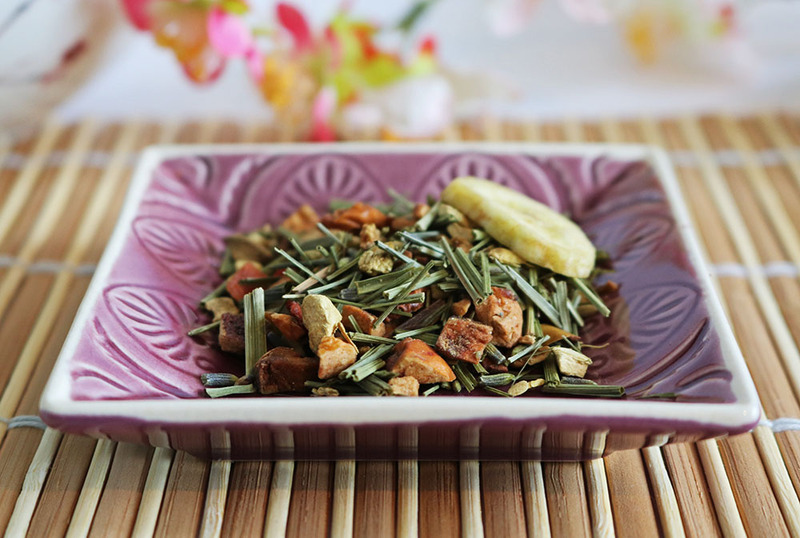 This tea is a herbal blend containing fennel, chamomile, liquorice and mint. 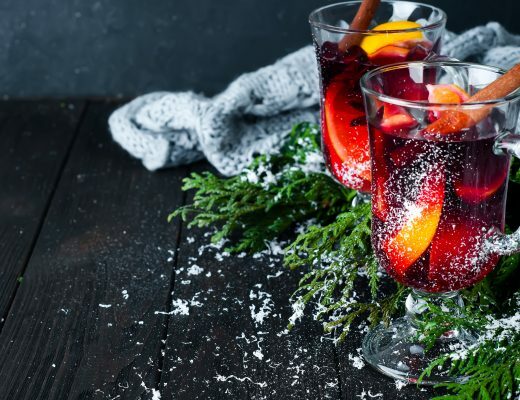 These are ingredients known to calm you down and ease an upset stomach. 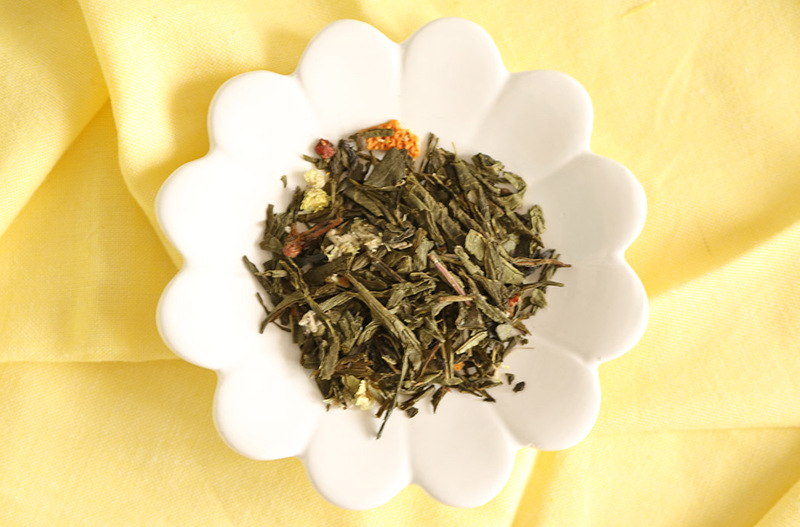 The stand out flavours of this tea are the white tea and a candy sweet rose flavouring. 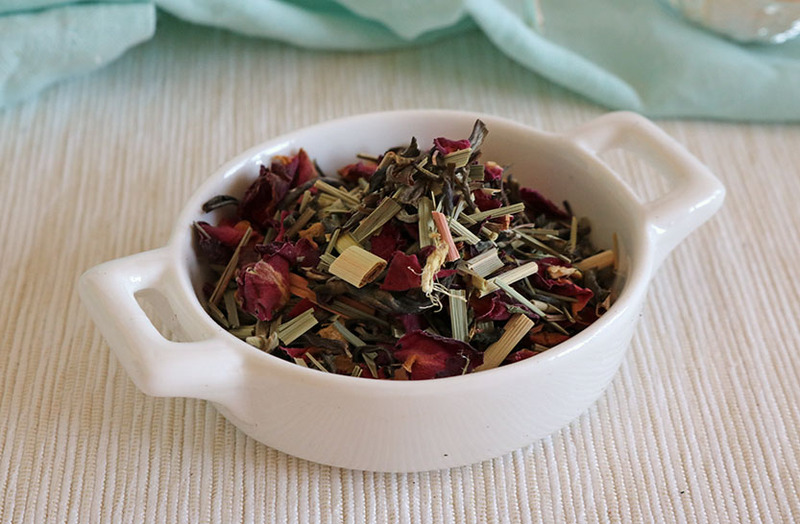 The delicate flavour of the white tea has been blended with the rose petals perfectly, I was glad the rose didn’t overpower the white tea at all. There’s also a hint of ginger and lemongrass that add a subtle but enjoyable flavour and nettle, known for it’s antiseptic properties. I found this tea was really economical and as it’s quite fine there really was a lot of cups of tea in the sachet. 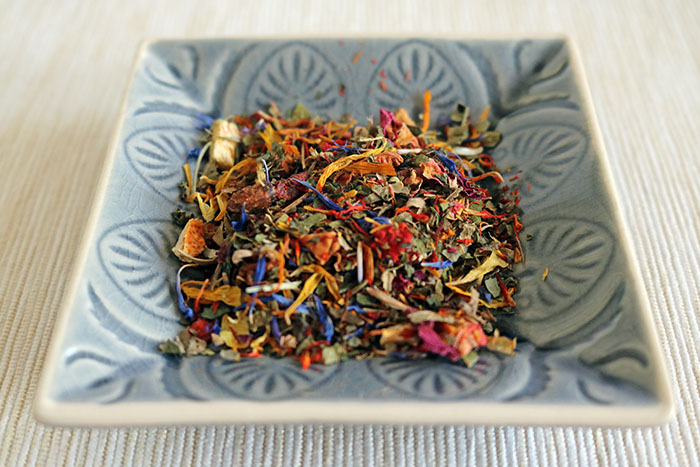 This tea blend comes all the way from the USA! I’m not the biggest fan of mint tea usually, I always feel that they’re overly minty and a bit harsh tasting. This mint tea is different! The sweeter peppermint flavours really come through, creating an enjoyably fresh experience. Mint tea is known to be beneficial for digestion, it’s great for easing tummy cramps, giving this tea a medicinal purpose too. 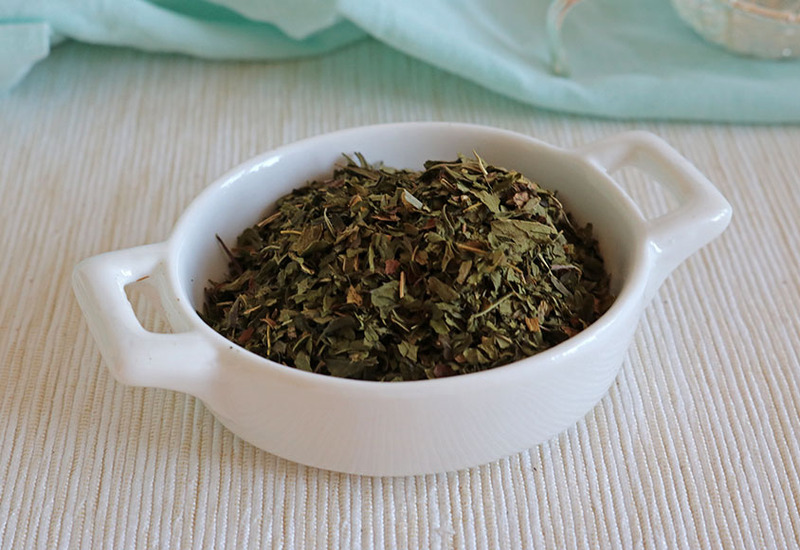 I really appreciate that this tea is so pure, it’s literally one ingredient: peppermint! 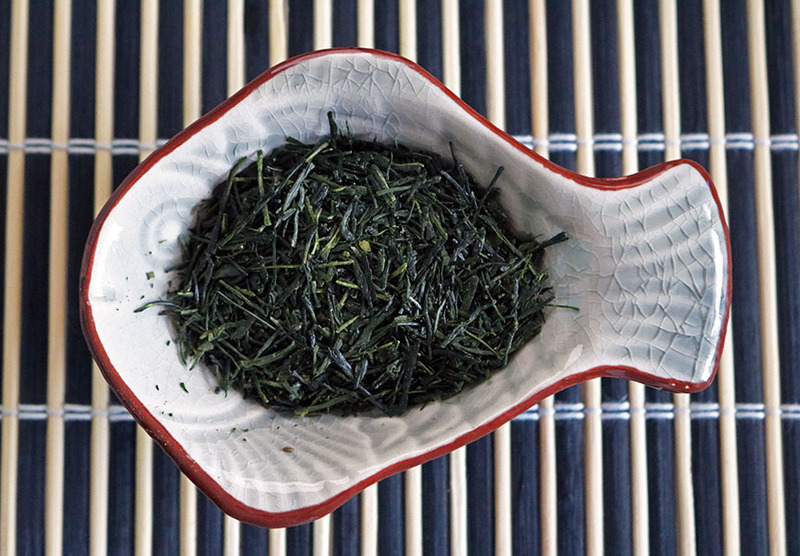 This tea comes from Shibui, a tea company I’ve previously reviewed not too long ago. I loved their tea the first time round, their caramel oolong and maple walnut are two of the most memorable teas I’ve ever had! 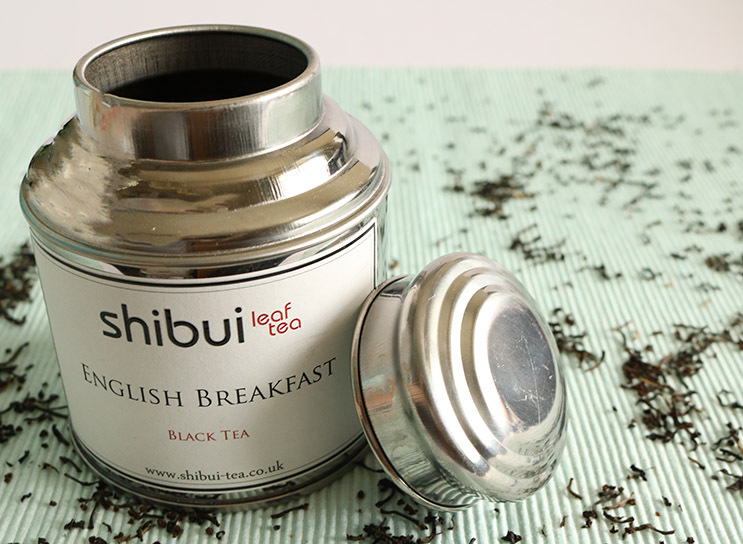 You can find my shibui tea haul review here. I must admit that I’m quite new to kukicha, having only had it one other time from Adagio. A huge difference I noticed straight away with this kukicha is its black, despite being a green tea. Kukicha is made up of the left over stems and twiggy parts of the tea plant that aren’t used, the last kukicha I had was a hay like pale green. This kukicha from Shibui has a slightly roasted flavour which is enjoyably unique and warming, making it perfect for cold winter nights! 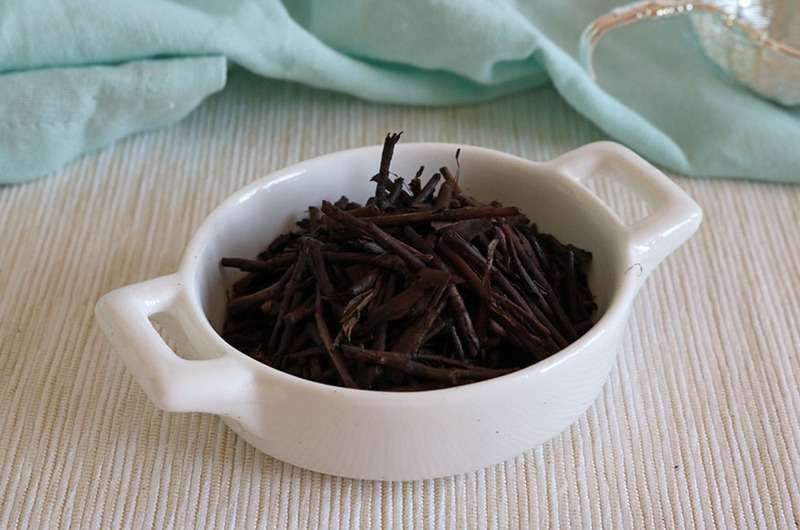 This tea is fairly similar but has a sweeter, less spicy flavour which makes it more of a naughty dessert-like tea. As soon as you steep this tea the smell erupts in to the room, filling it with a cakey gingerbread flavour. 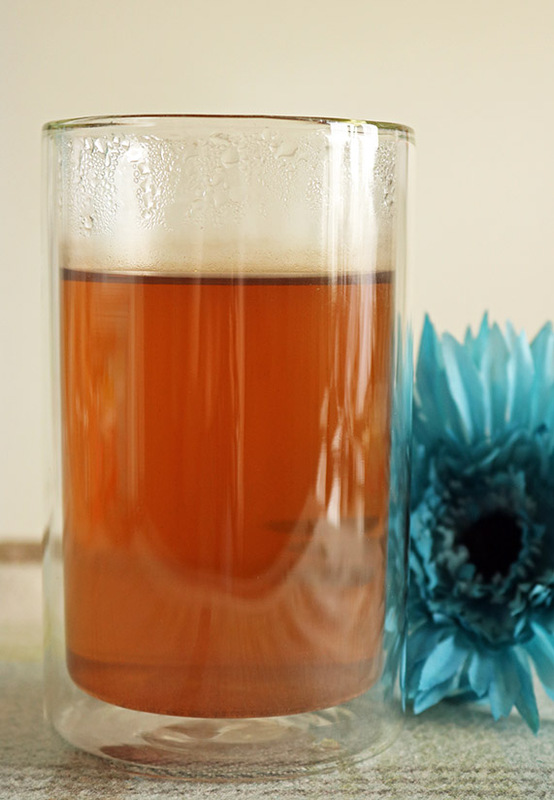 It’s a really economical tea, with a little tea turning your water to a beautiful amber. 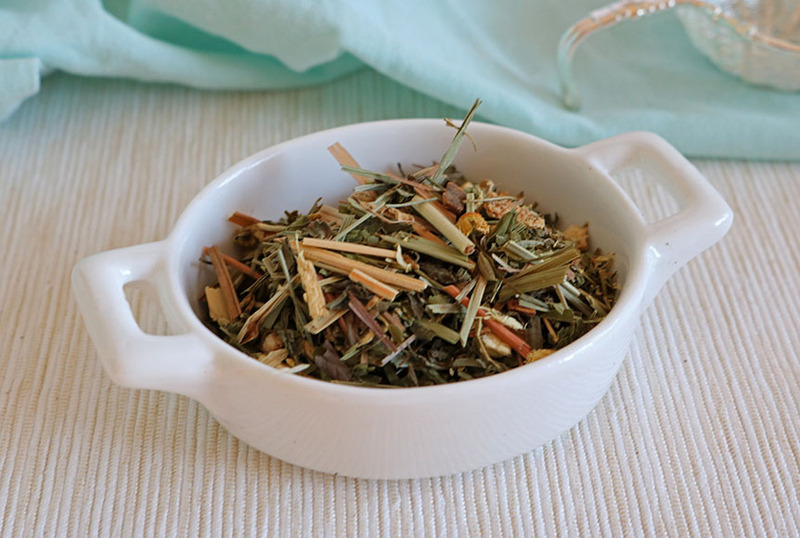 This blend was one I wasn’t crazy about, it had quite a medicinal smell to it with strong aniseed and fennel aromas. Upon steeping I found that it was a very unique blend with a sweet aftertaste from the liquorice, I was also happy to find that the mint wasn’t overpowering. I’m not really a fan of herbal teas but I’d recommend this tea if you like more herbal flavours or are looking for something new to broaden your horizons! I loved this blend! It smells so fresh and natural while instantly turning the water a vibrant green colour. The flavour is so pure and really refreshing, it has a really delicate vibe to it with an exciting zing. 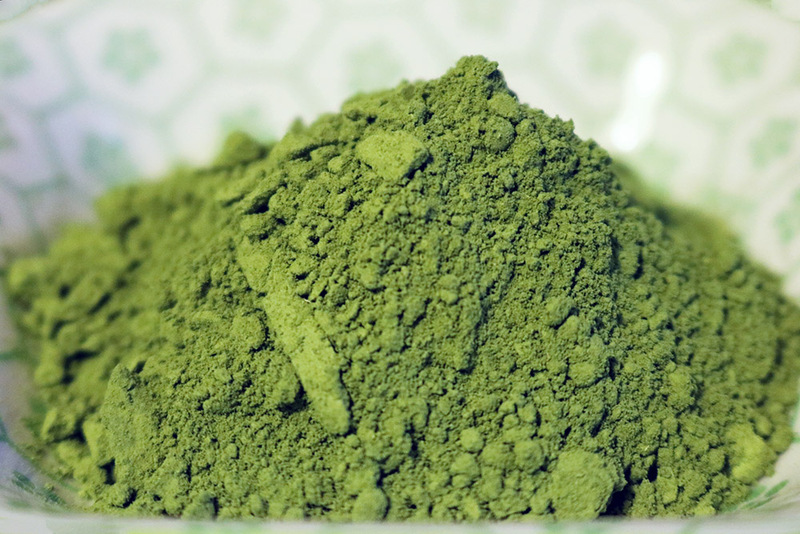 Shiaore Green is one of those blends that I’d really describe as being creamy, before being obsessed with tea I would never of understood someone referring to tea with no milk as creamy but it really is! I’d highly recommend this tea and am excited to explore the range of tea this brand has to offer! I just don’t know where to begin with this beautiful blend! As soon as I opened the December box and saw marzipan I couldn’t wait to try it. 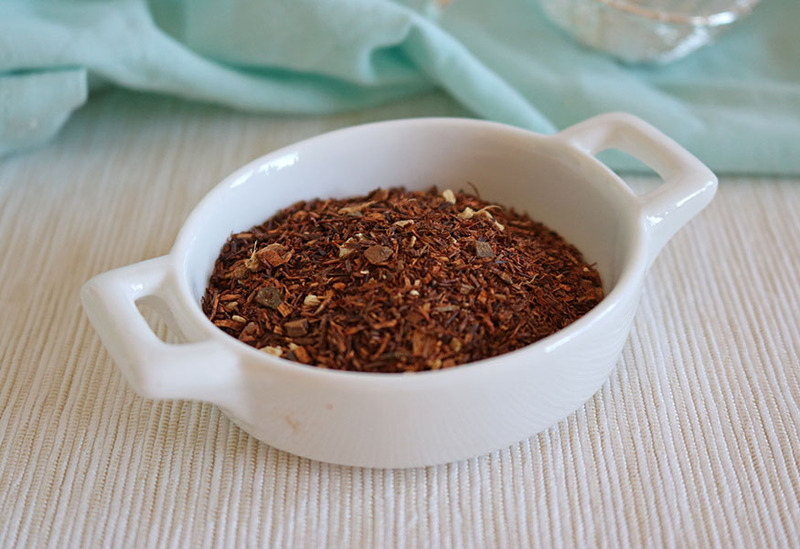 I’m a big drinker of rooibos, I love drinking it at night instead of fruit tea all the time. I’ve found some really exciting flavours out there, this is definitely a contender for the best rooibos I’ve tried! I’m not a big fan of ginger tea when it’s more herbal, spicy ginger and not a sweet dessert blend. I was quite sceptical about this tea as I have a soft spot for sweet tea blends so this isn’t a tea I would usually go for. 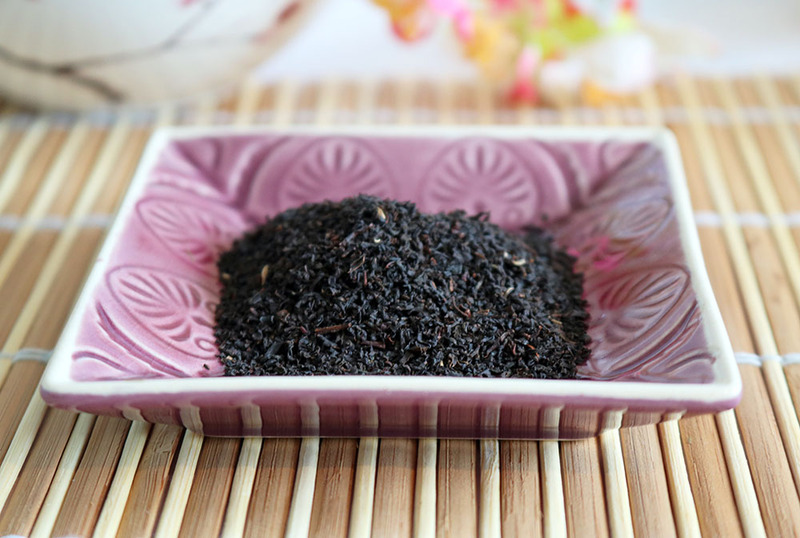 The smell of this tea is heavenly, with sweet chocolate notes and high quality black tea combined beautifully. The flavour is another awesome combo, the black tea flavour is perfect with a small chocolate hint, making this tea fantastic as a guilt free treat. I’ve loved my experience with the TeaTourist subscription! 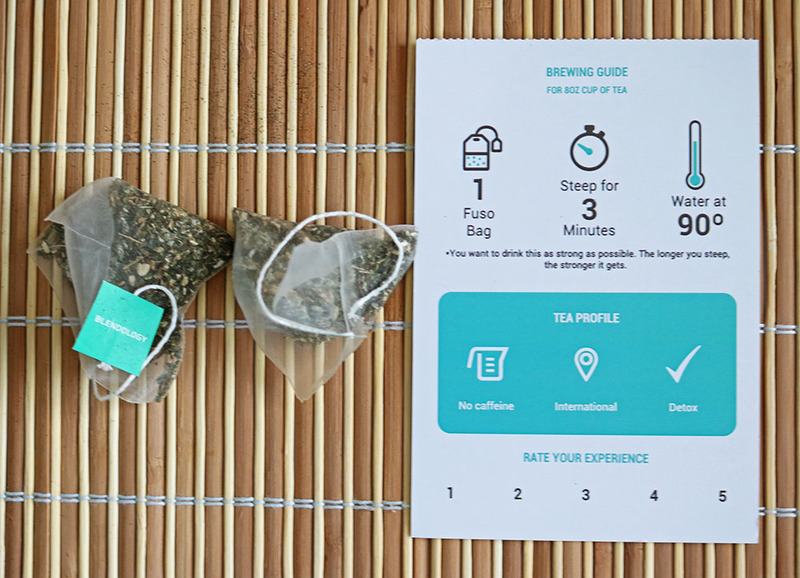 It’s super convenient, straight through your door and with a large selection of very different teas. You also get 6 teas each month which is really good value at this price and the amount of tea in each sachet is very generous. 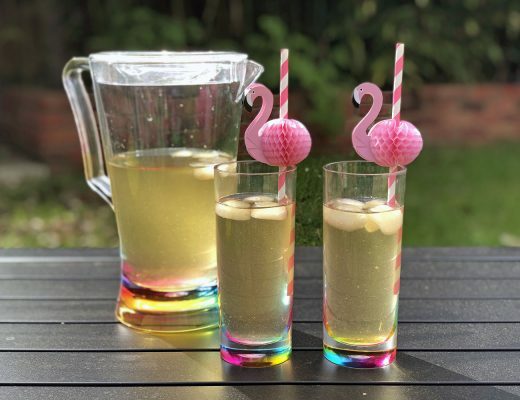 To make these TeaTourist teas go even further you could consider a tea bottle of some kind, I’ve written a Top 10 Tea Bottles post that’s a great place to start if you’re looking for a tea bottle. Teatourist have given me an extremely generous discount code for my readers to get 30% off their first subscription box! 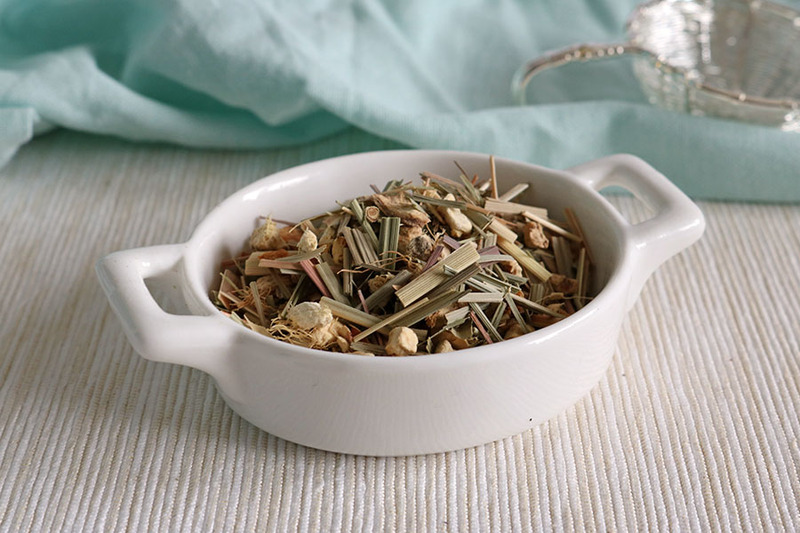 simply use the code RUSSTEAS30 and you’ll receive the discount off your first box! A huge thanks to TeaTourist for sending me these month’s subscriptions! I LOVE Bluebird Tea! If you read my blog on a regular basis you’ll have seen that I review their tea more than any other brand. Why? Because it’s simply awesome! 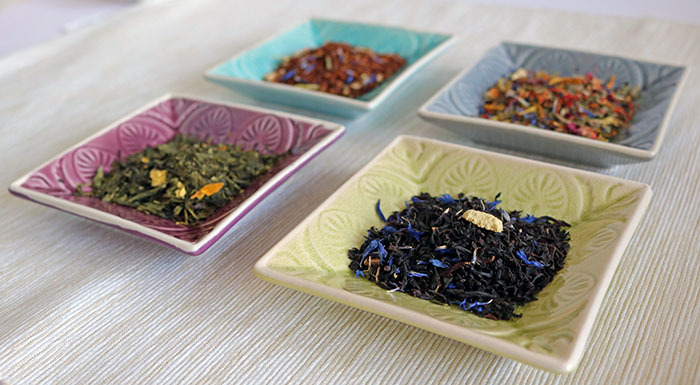 The four blends Bluebird sent me are Rooibos Earl Grey, Choco Pops, Lapsang Chai and Spiced Pumpkin Pie. I’m excited by this blend! 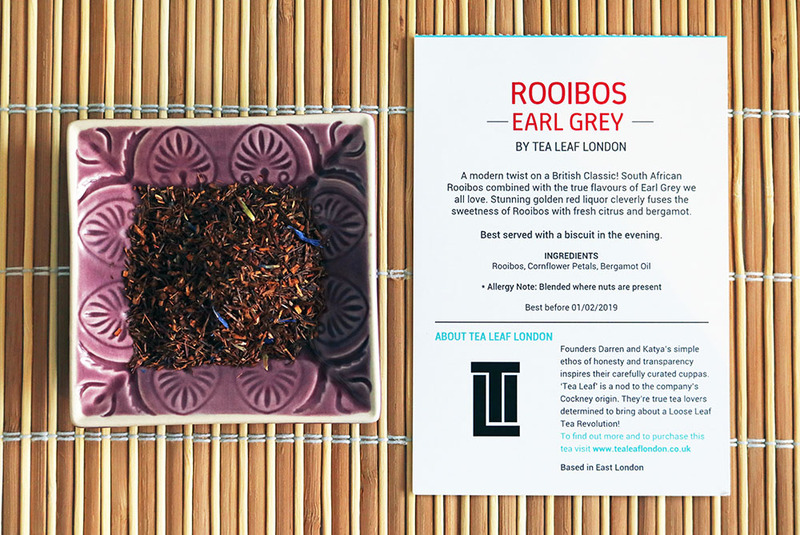 Earl Grey is awesome and rooibos is my drink of choice at night when I can’t sleep (happens A LOT), so this is perfect! I was a bit unsure about this initially, pumpkin isn’t really something I’m amazingly fond of but after one sip, my view of the Jack-O-Lantern vegetable had been changed, drastically! 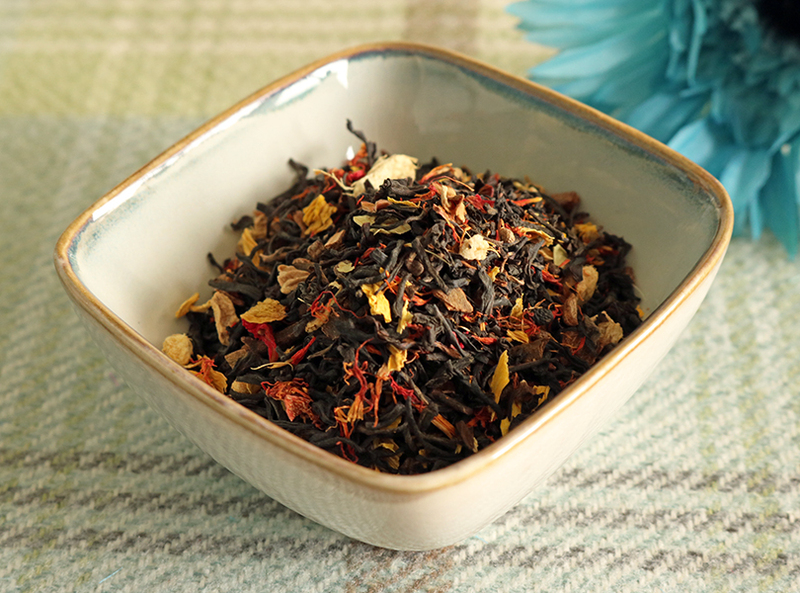 This blend is so warm but without being spicy or burning your throat at all and it screams Autumn! With Halloween and Bonfire night coming, this tea is perfectly timed and sure to go down well with anyone you share it with. It has just a gentle warming feel but is overall a sweet blend, with a slightly spicy tickle after every mouthful. It’s one of those flavours you really want to savour and swirl round your mouth, the only way I can describe it is a cuddle in a mug. 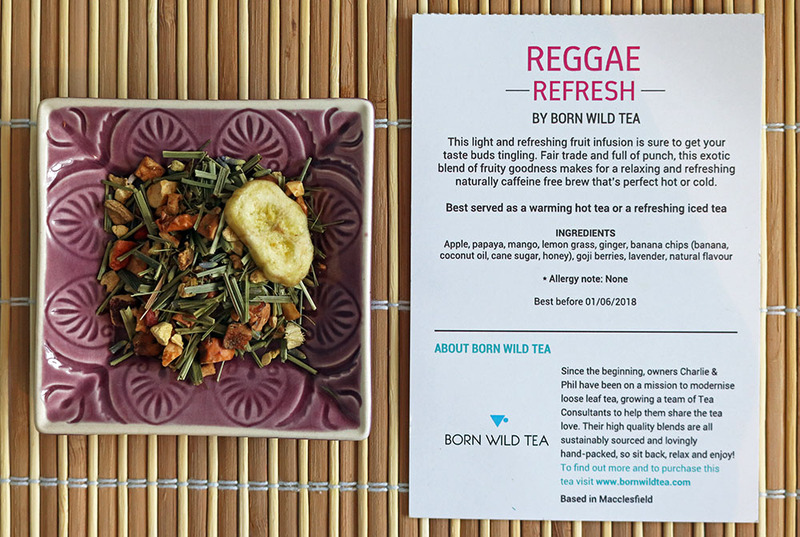 You need this tea in your life! 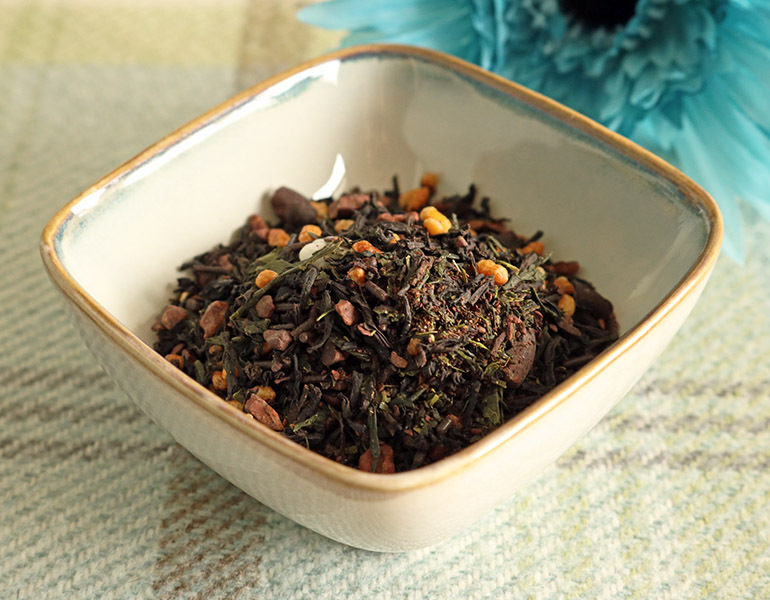 This is a combo between Lapsang Souchong, Assam and chai, the result is a beautifully unique and perfectly blended cuppa! 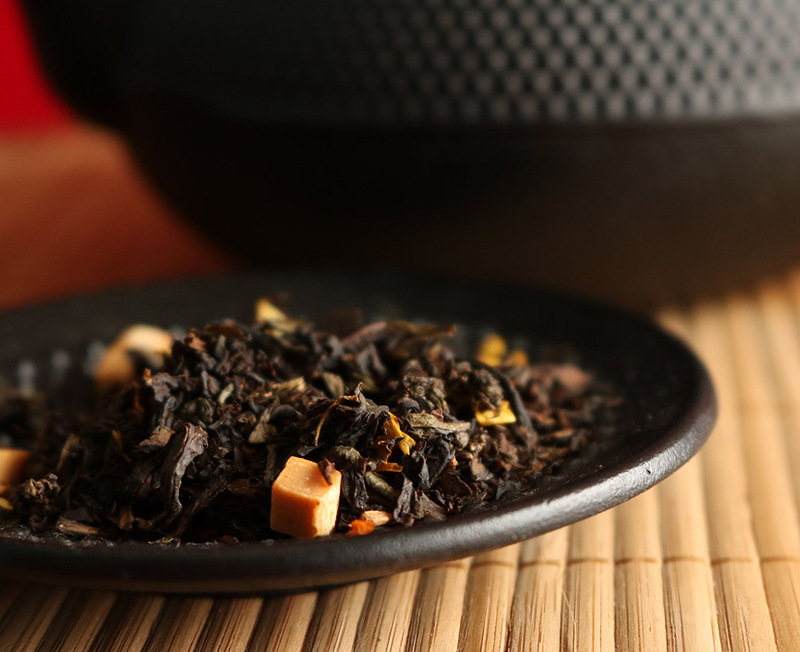 I usually find that the smoked flavours of Lapsang Souchong are exciting but often overpowering, this blend keeps the smokey excitement but with a flavour that isn’t at all overpowering. I like the addition of the chai flavours, it adds a slight warmth to the experience, while diluting the smoked taste. The tea is so pretty loose, with it’s warm fiery flecks of red against the dark black tea. Overall I found this blend highly enjoyable, I love that it’s not a flavour you’ll find anywhere else and the result is a complex and thoroughly enjoyable. It smells like a packet of melted chocolate and isn’t like other teas that claim they’re chocolate and then the flavour disappoints, it really is chocolatey, thanks to cacao bean, chocolate chips, fat reduced cocoa powder AND chocolate sprinkles 😀 When the water is added the chocolate smell takes on a slightly herbal scent from the tea leaves but the flavour is so good! I like that this tea is made up from a blend of Sri Lankan black tea and sencha green tea, it gives the tea a lighter flavour than if it was all black. I really love Coco Pops, especially the chocolate milk that’s left at the end and you really do get that same chocolatey taste from Bluebird’s latest blend. The toasted rice adds a genmaicha twist to the brew, which works amazingly to create a cereal-like vibe alongside the chocolate. I love this tea! That’s my review of the latest blends from the Bluebird HQ, I hope you’ve enjoyed reading this as much as I’ve enjoyed writing it. A big thank you to Bluebird for being so awesome and sending these fantastic new products to me! 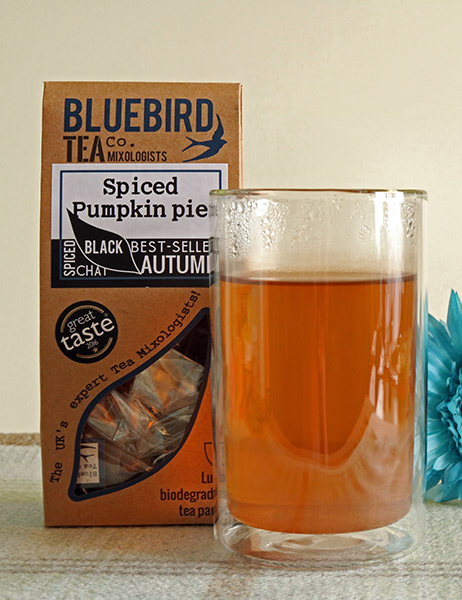 If you’d like to check out the new Autumn blends from Bluebird you can find them here. Make sure you join my mailing list below and follow me on Twitter, Facebook and Instagram to get more from my blog, including my upcoming review of the new Bluebird flavoured Matchas! 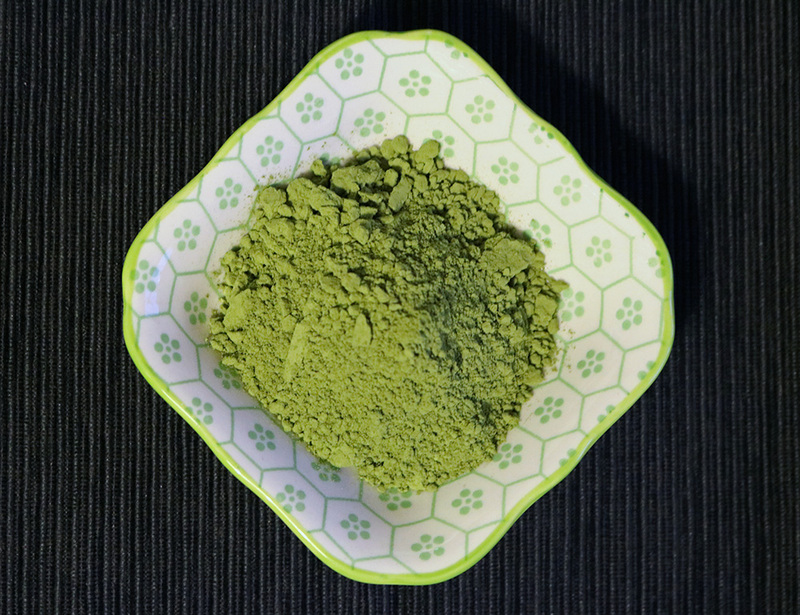 A while back I was sent some flavoured matcha by Adagio Teas for me to include in a flavoured matcha comparison that I’ve been writing, which I will eventually have finished! 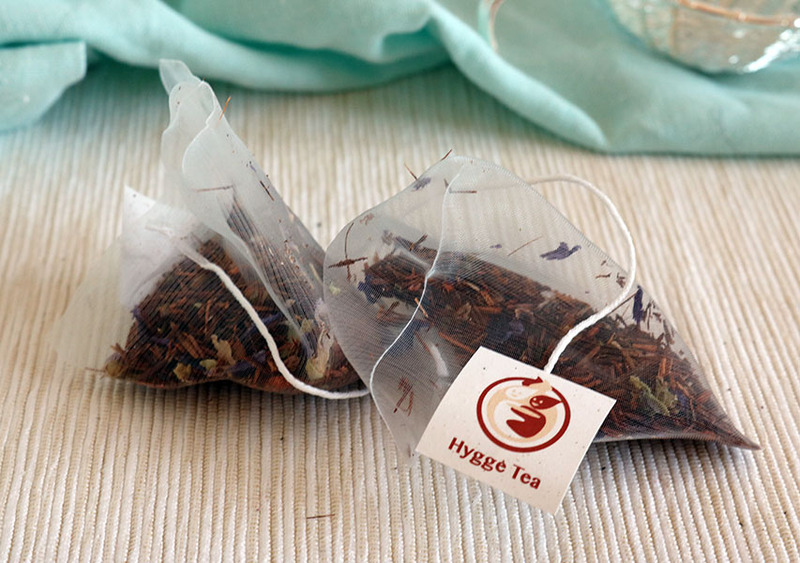 Adagio were also awesome enough to send me some of their tea to review. I’ve been a fan of Adagio for a long while now, they were one of the first companies to reach out to me when my blog first got going so I’ve had a soft spot for their tea ever since. I reviewed their Green Rooibos Bonita a few weeks back which was AMAZING and now I’ll be reviewing Kukicha, which is something new for me. 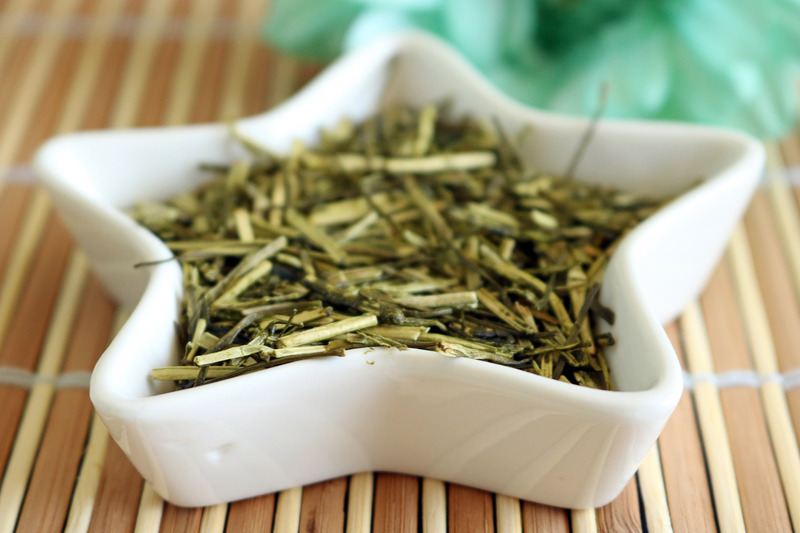 Kukicha is basically a blend of the stems, stalks and twigs of the tea plant that aren’t used, usually when sencha or matcha is produced, which results in a deep green loose tea. The first thing I noticed when I smelt the tea in it’s packet is it has a really green vegetal aroma with a lighter fragrance than traditional green tea. When I prepared the tea I was pleased by how economical it is, a little goes a long way and it’s good for multiple infusions. When the water’s added it produces a very light golden tea that has a fragrance that I can only describe as smelling healthy, it does have a slightly sweet nutty aroma too. I was eager to try this tea as it’s something new which is always exciting to find. The main thing I noticed is how light the flavour is, it doesn’t have any bitterness and is overall quite sweet and nutty. 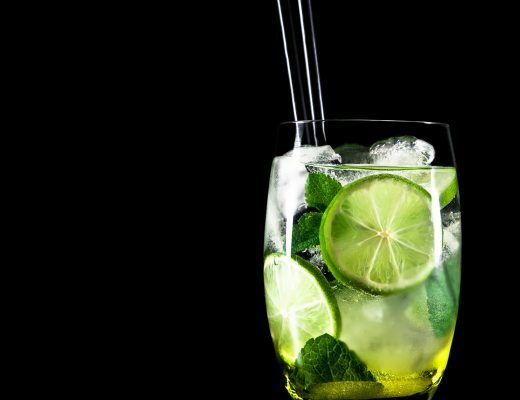 It’s really nice to drink on warm summer evenings, especially when it cools slightly as it’s really refreshing. I’ve been drinking this tea in big amounts, I fill my Adagio IngenuiTEA at the beginning of the evening and I’m good to go! Thanks to Adagio for sending me this tea to review and thanks so much to everyone reading this! 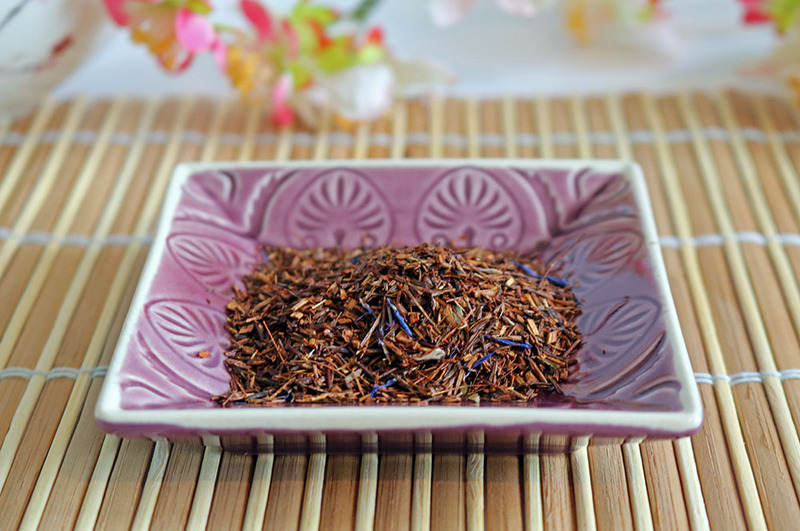 New Bluebird Tea Co. Summer Blends Reviewed! So the first thing I wanted to do, apart from drink them, was get a review written up for you guys! First up is strawberry split, a wonderfully fruity, pretty pink blend. 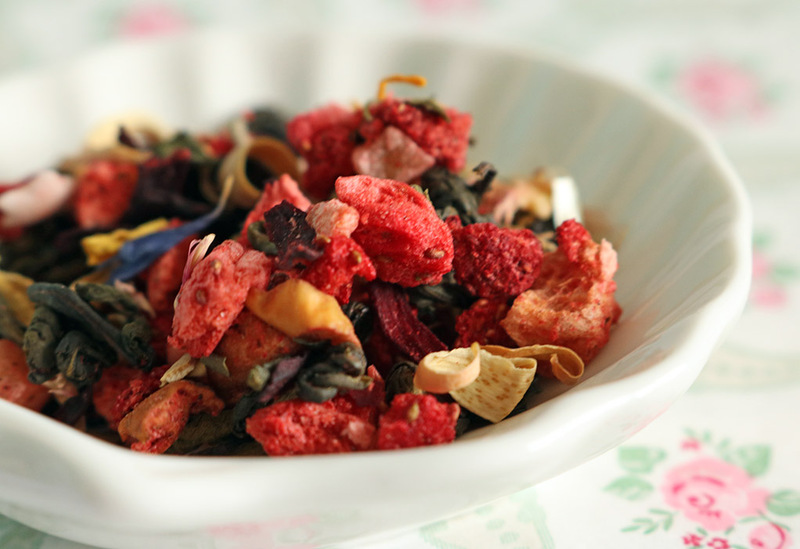 It’s green tea that’s absolutely packed with freeze dried strawberries with a fruity but slightly floral scent, it’s literally summer in a packet! 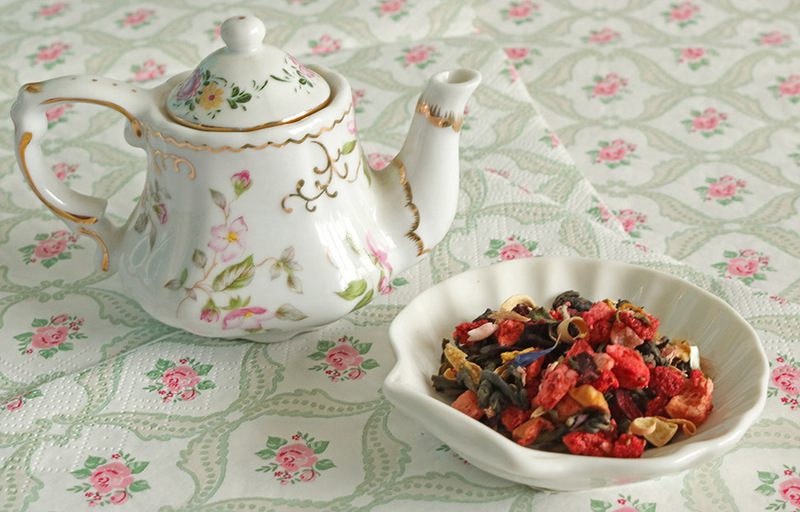 The tea is so pretty to look at before it’s even steeped, it’s full of floral summer colours that will wow your guests. 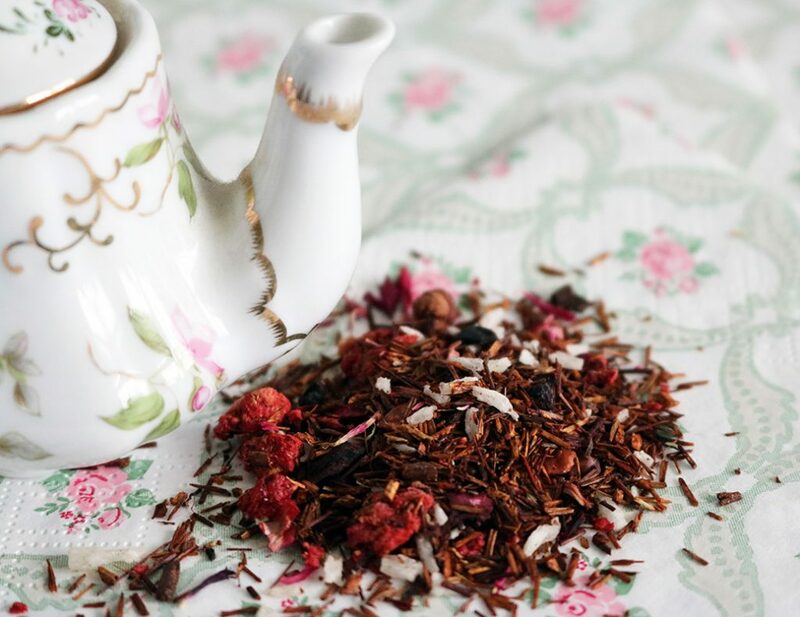 Once the tea’s steeped it produces an equally pretty pink liquid that also smells fantastic, another plus for entertaining with this tea. 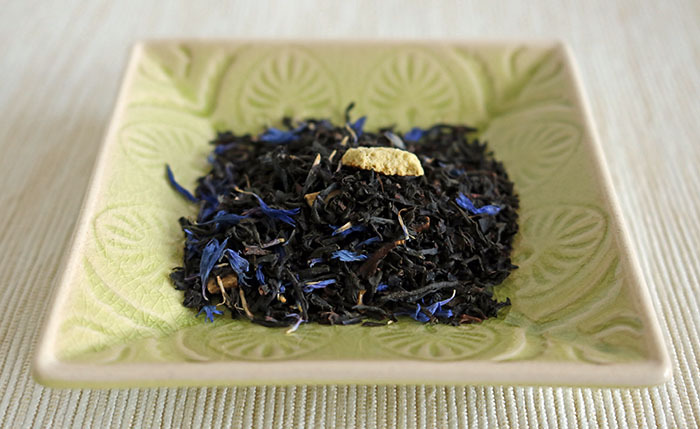 One of the things I love about Bluebird Tea Co. is their ability to capture a non-tea flavour in their tea. You’d think jelly and ice cream tea would be a fad and you’d get it and find it tastes nothing like it pretends to, but this is different. It really does taste of jelly and ice cream, the sweet flavours combine with the rooibos base perfectly. This is another blend that’s great iced and will probably be my drinking buddy on the rare days it’s too hot in the UK to drink tea. 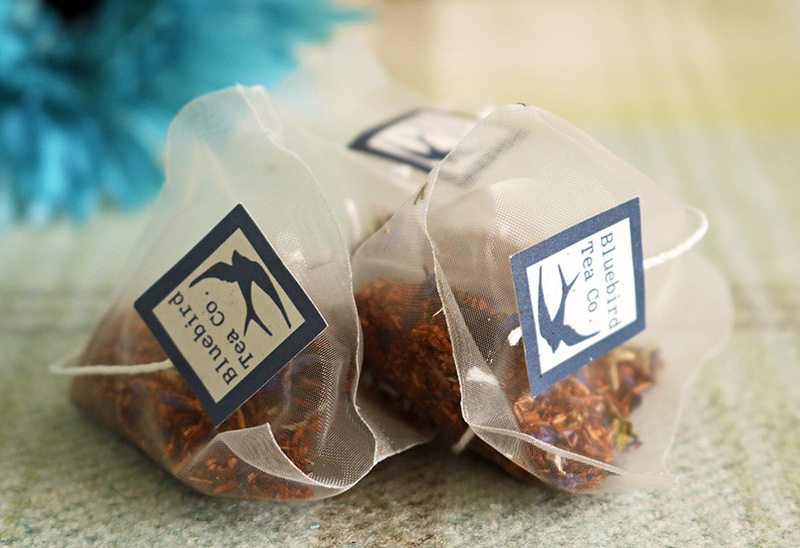 So that’s my review of these two new teas from Bluebird Tea Co. 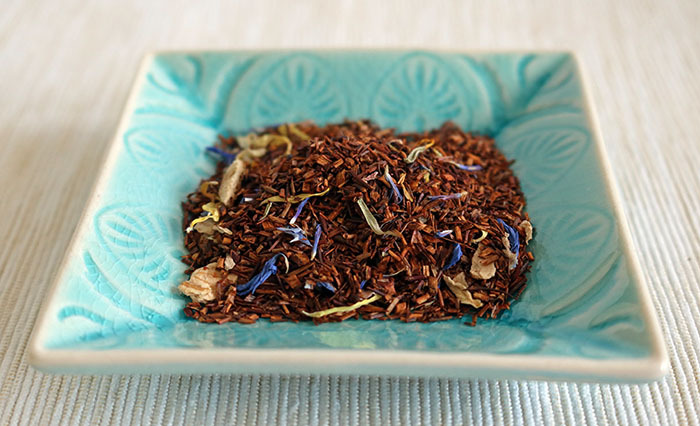 There are another two summer blends from Bluebird; Red Velvet and Sangria. Both look fantastic but Red Velvet is definitely on my list of teas I need in my life! 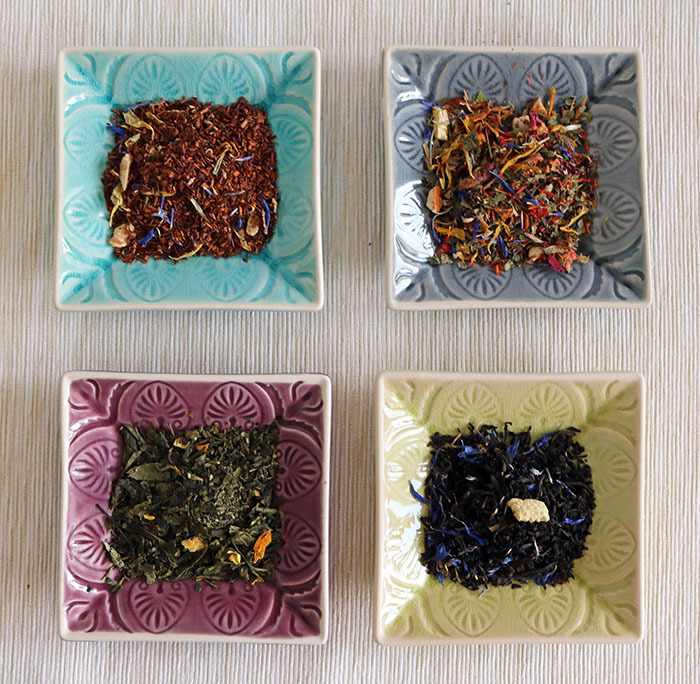 You can find these summer blends on the Bluebird Tea Co. website here, or roll in to one of their stores in Brighton, Tunbridge Wells or their new Bristol store! A little while ago I was lucky enough to be sent a box of joy by Shibui Leaf Tea. Inside the box there was a selection of loose leaf teas, an awesome mug and some empty tea pyramids for making your own teabags (super cool!). This was one of the teas I requested because I love Oolong and caramel seemed like the perfect accompaniment. This tea smells beyond words, succulent & sweet, with a buttery quality. I could actually just leave bowls of this around my house, the smell is that good! One thing I love about Oolong is you can get a lot of tea from not much leaf, as it really lends itself to being infused multiple times. During these infusions you can follow the tea on a delectable taste journey as each infusion tastes different to the last and from a practical point of view, this makes this tea very economic. 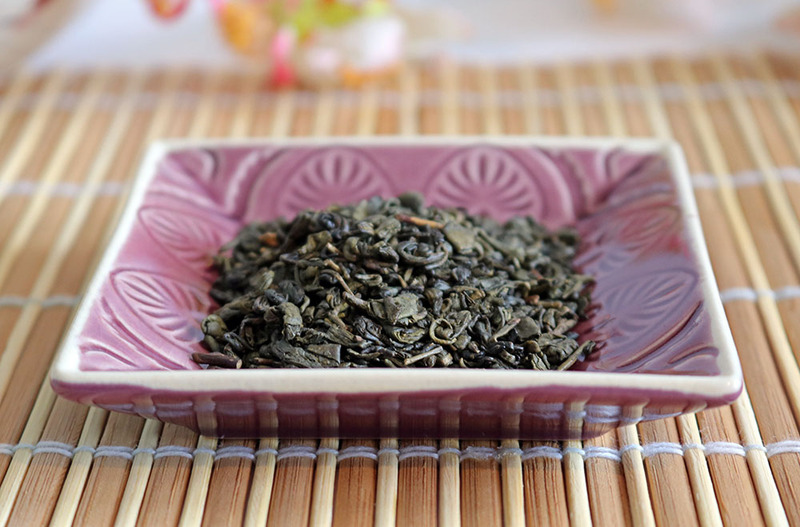 This is another excellent Oolong, with light floral notes. 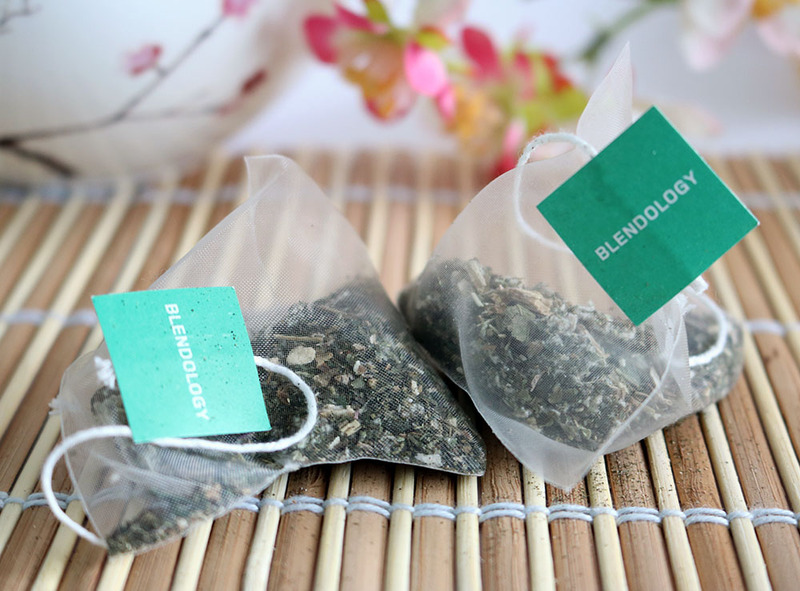 I received these in high quality pyramid teabags, there’s more than enough tea for multiple infusions in each teabag and the teabags allow the leaf to move around enough to infuse well. White Peony (known in China as Pai Mu Tan) is always a tea I look forward to, the delicate sweetness of the white tea is fantastic and super refreshing. 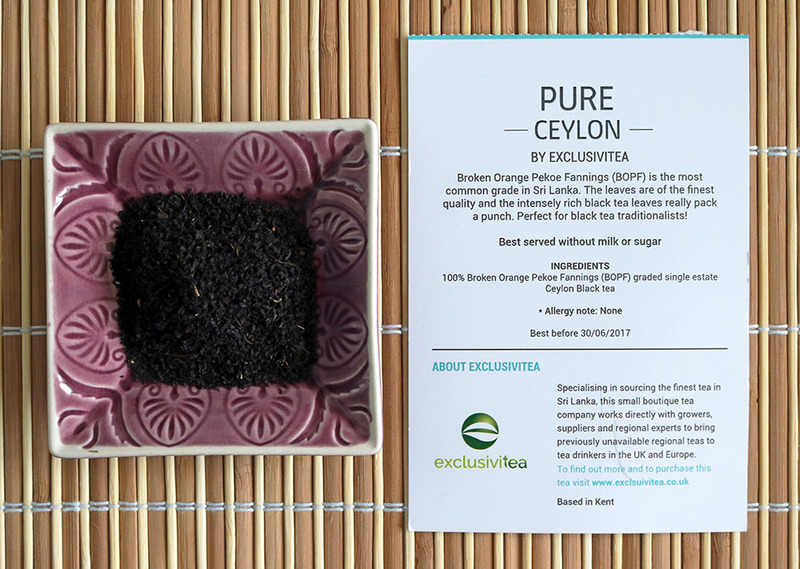 It’s produced from the handpicked bud and first two leaves of the tea plant, this creates a clean royal tea. 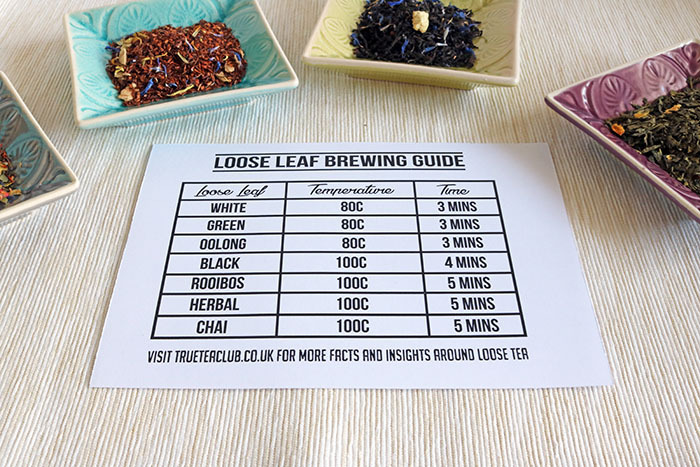 The leaves are a really good size which is always a nice thing to see and each pyramid teabag is filled with a lot of tea so you can easily make a couple of cups of tea with one teabag. 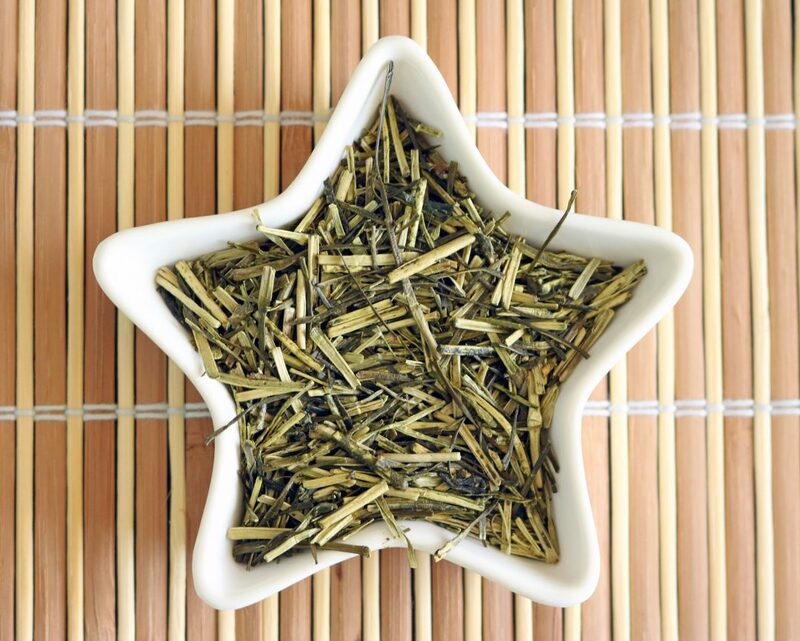 It has a slightly floral quality to it which is subtly sweet but it lets the white tea flavours take centre stage. Another tea I requested a sample of is Maple Walnut and I’m so glad I did! This tea smells sooo good with a sweet maple fragrance and a hint of walnut. The pieces of walnut and the leaf are really nice sized and you can tell this tea is special when you first prepare it, the smell just fills the room with sweet nuttiness. Once steeped it makes a vibrant green liquid which I could just sit and smell all day! The taste is amazing, it’s really sweet and has a slightly toasted quality to it, reminds me of toasted marshmallows. The walnut flavour is definitely noticeable but not overpowering, I wondered if it would be too nutty but it’s not at all. The tea leaf, walnut and maple are all there with precisely the right amount of each. 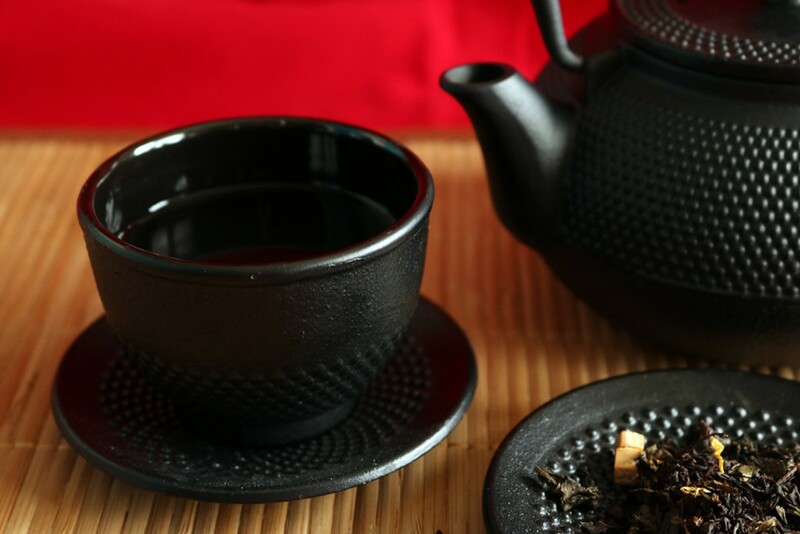 I feel that English Breakfast is really drab unless it’s really good, without any extra flavours the quality of black tea can really be noticed. Luckily this is a really good English Breakfast, it has a deep malty brown colour to it and it’s epic with a couple of biscuits to dunk in it. It has a very slight sweetness to it which makes it more enjoyable than a lot of other English Breakfast tea I’ve tried. My mum loves English breakfast, even with all the exciting tea I make for her she still insists on English Breakfast with her breakfast and she definitely approves of this English Breakfast! 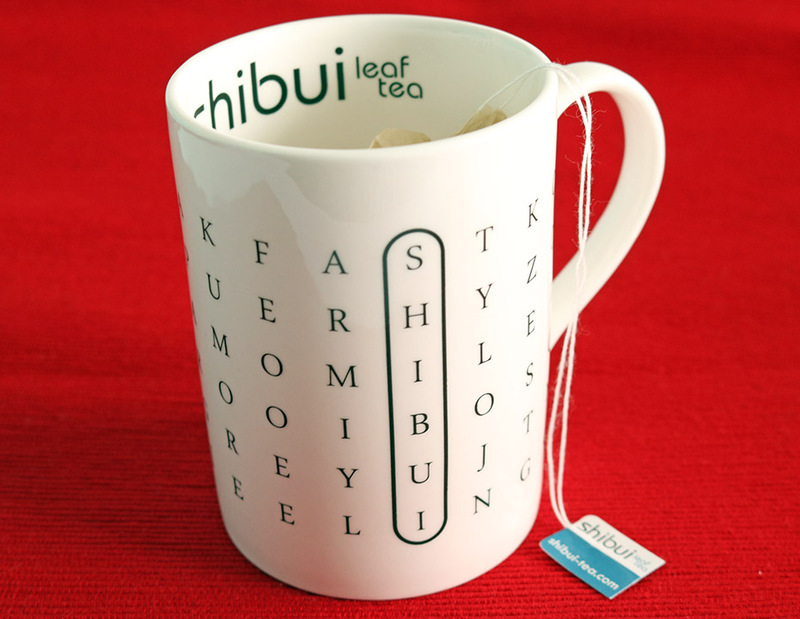 An unexpected inclusion from Shibui Leaf Tea is a mug that has a tea themed word search on it, with words such as Roobios and Assam. It’s bone china and dishwasher proof, a really nice touch is one of the words is Shibui and it’s been outlined as the only word found so far, which I really like! Again this would be the perfect gift to give with some of the gorgeous teas above. 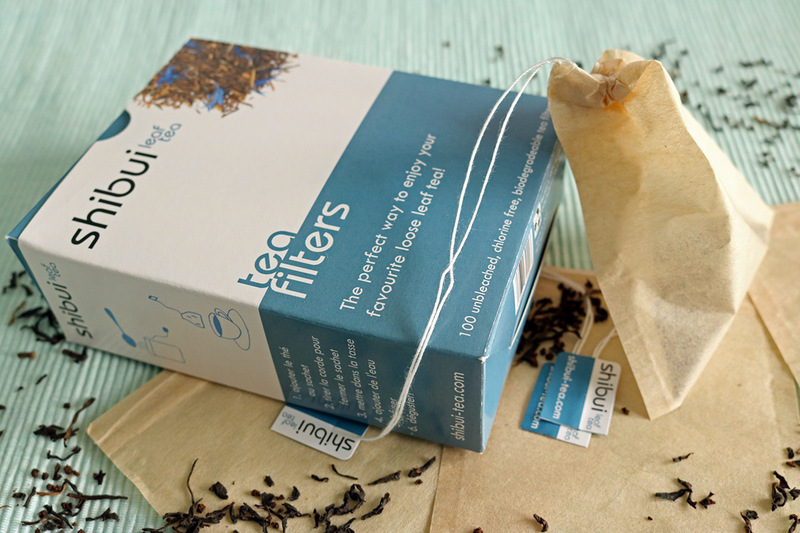 I also received some tea filters, which basically act like teabags that you can fill yourself and pull closed with a drawstring at the top. They’re unbleached, chlorine free and biodegradable so great all round! I use something similar when I go away so I don’t have to carry an infuser for loose leaf tea with me but these are more convenient with the drawstring closure. They’re also an absolute bargain at £3.95 for 100! So that’s my haul reviewed! 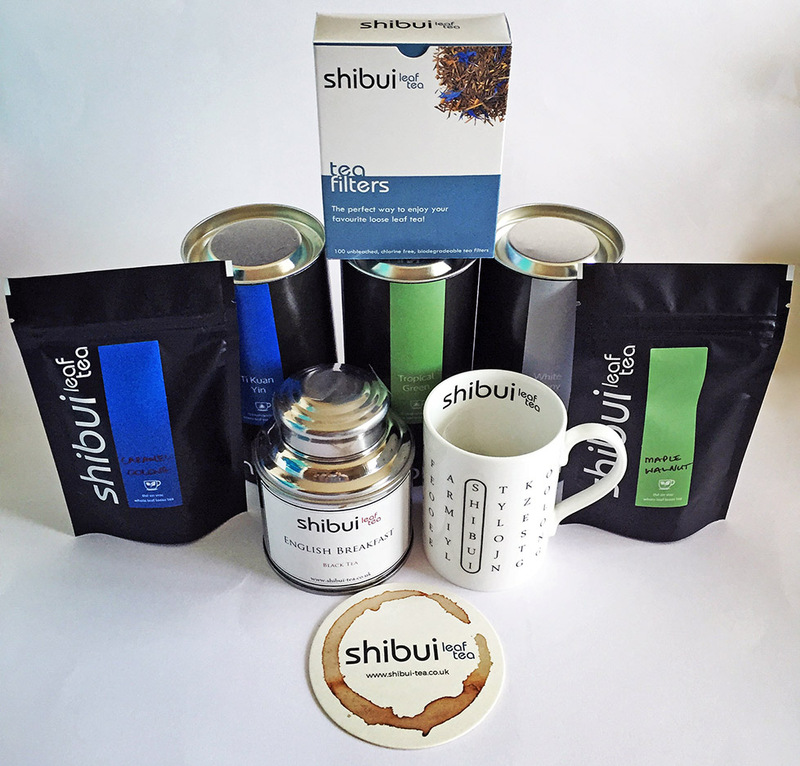 A huge thanks to Shibui Tea for sending me their products to review and for their generosity, it’s very much appreciated. You can check out their amazing store here. I LOVE Gently Stirred and their passion for good tea. The first thing I always notice is the care that’s taken to produce a beautiful, personal moment with every purchase. They go above and beyond with hand wrapping in stylish brown and green packaging, that has a wholesome and friendly feel to it. Onto the tea! 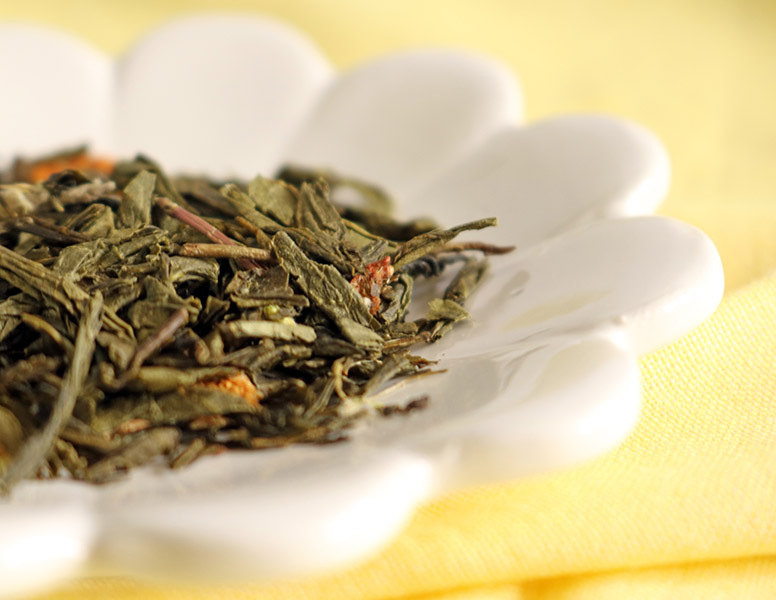 Recently I was lucky enough to try the aptly named Sencha Spring Melody, a super sweet smelling strawberry green tea. Before I even opened the package I could smell the smell of fresh strawberries, when I was a kid me and my mum would always go strawberry picking and the smell of this tea takes me right back to those trips 🙂 As always this tea from Gently Stirred is made up of super quality loose leaf tea with succulent dried strawberry in abundance. When the water hits the tea things step up a gear; the strawberry smell erupts out as the water turns an inviting golden colour. The taste is fantastic, really sweet but with a definite green tea flavour as well, with absolutely no bitterness. This is a great tea to drink after dinner if you’re trying to steer clear of the calories that pudding brings! Anyway I’m guessing you’ve realised by now that I like this tea, A LOT and I’d definitely recommend taking a look at Gently Stirred’s website and trying it for yourself. Comment with any teas you’d like me to review or that you recommend I try and come say hi on Twitter, Instagram etc.